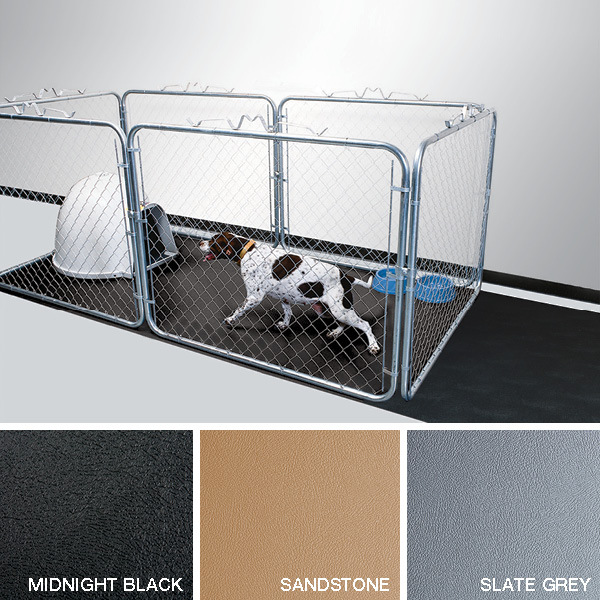 afe, sanitary, long-lasting G-Floor® Roll-Out Flooring is easy to install and maintain. It carries the load of heavy medical machines and movement better than other flooring. For your major investment, G-Floor® Roll-Out Flooring is the gold standard of healthcare flooring, protecting from damage, wear and tear, dents, scratches and more. Long gone are the institutional-feeling healthcare environments of old. G-Floor® Peel & Stick Tile Flooring makes waiting areas, corridors, labs, patient rooms, cafeterias and various others medical spaces more inviting and less intimidating. G-Floor® Peel & Stick Tile Flooring is fun to use, quick to apply, and it won’t crack, peel, split or curl under extended, extreme use. Think nursing stations, break rooms, bathrooms, beside beds, entrances and the list goes on. 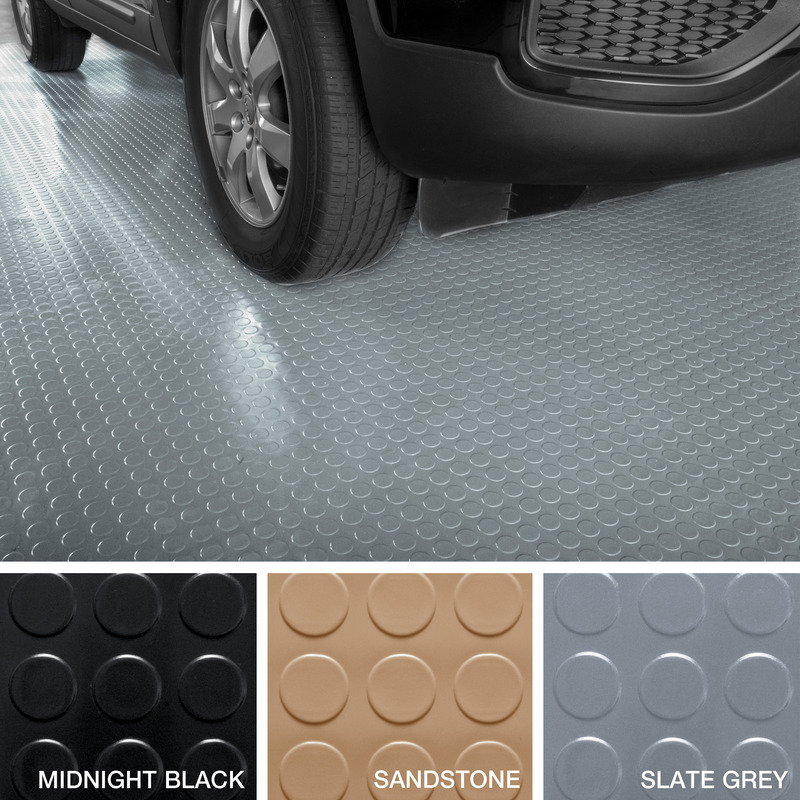 As durable, safe and sanitary as other G-Floor® Universal Flooring options, G-Floor® Universal Mats are repositionable and serve multiple areas and purposes. Comfortable for long shifts, mats provide anti-fatigue benefits, as well as hide floor imperfections and protect from the damaging weight of heavy medical equipment. Create a like-permanent bond between seams in G-Floor vinyl flooring with our adhesive tape. The glass cloth tape is perfect for creating a seamless look between multiple sheets of roll out flooring. 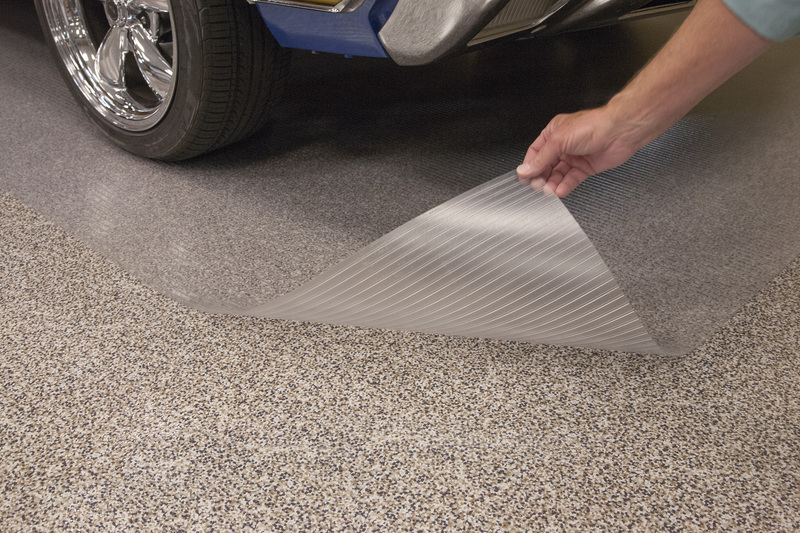 This waterproof tape will further protect your floors by offering a barrier where the G-Floor vinyl garage floors meet. Useful in utility rooms, laundry rooms, trailers and any other place you want to keep dry and protected. G-Floor Adhesive is specially formulated to work with our 100% polyvinyl flooring options. Whether you need a classic pressure-sensitive adhesive for concrete floors, or Marine and Outdoor water-based adhesive for wooden decks, our adhesive works in almost any application. Formulated to work with roll out vinyl, floor tiles and carpet squares for a strong bond that lasts. Add a finishing touch to your G-Floor vinyl flooring with edge and seam trim. Whether you’re lining the center seams where two pieces of vinyl join, or just protecting the edges from water, this trim is perfect for the job. 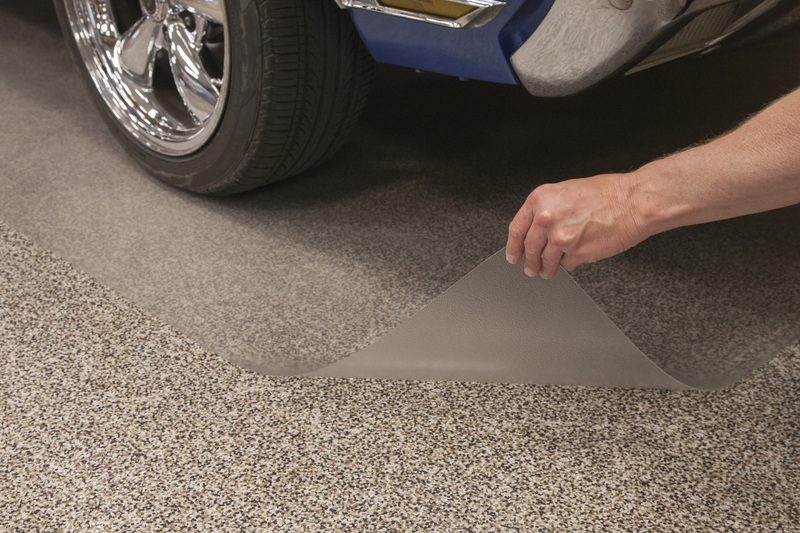 Create a waterproof seam between pieces of 100% vinyl to complete your garage, workspace or other floor with ease. 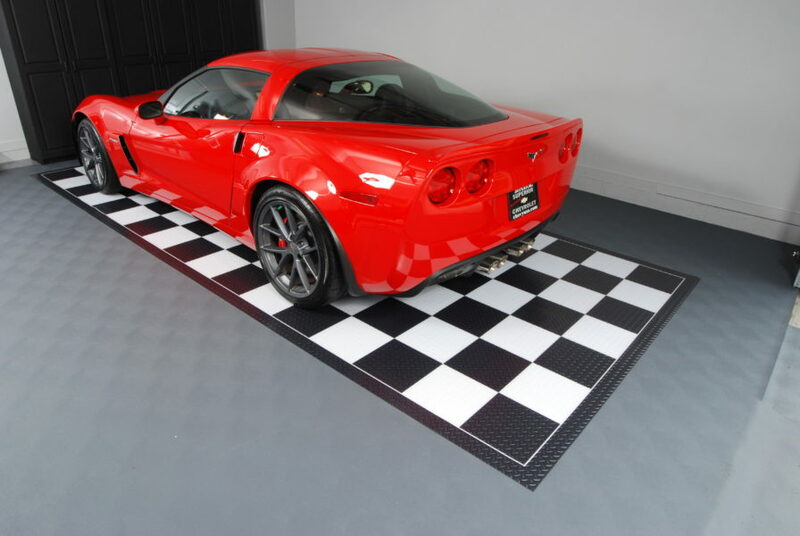 Give your vinyl floors great shine while offering superior protection with G-Floor top coat. 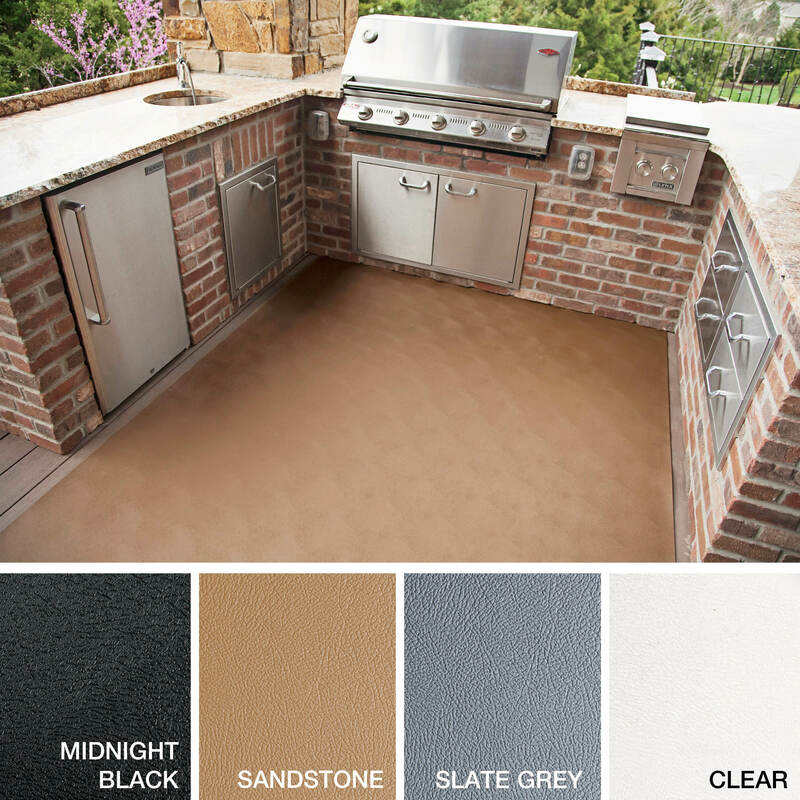 Our top coat offers stain blocking that helps extend the life and beauty of vinyl floors. Formulated specifically to work with G-Floor 100% vinyl flooring, the top coat works well in any application. 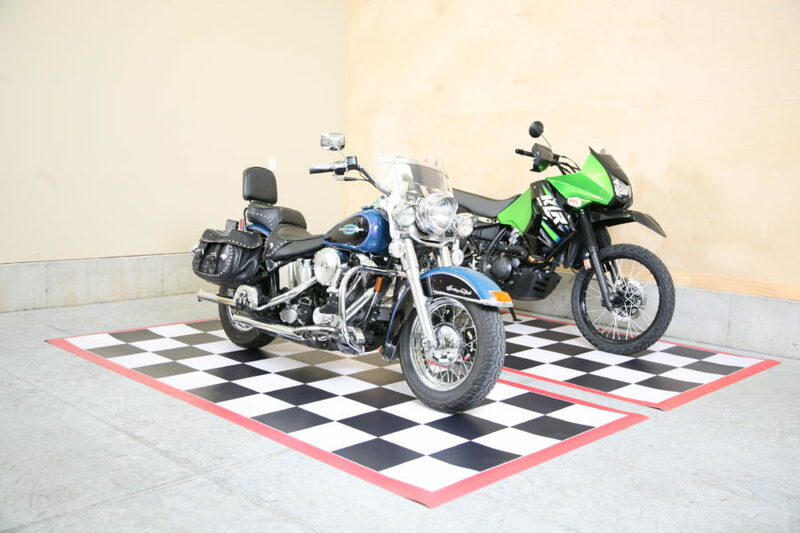 Choose from a water-based formula, which works with parking pads and other floors that are not fully adhered, or a two-part top coat specifically formulated for fully adhered floors. Durability: Manufactured without fillers, G-Floor® Universal Flooring stands up to heavy medical equipment and the movement of diagnostic machinery, beds, gurneys and more. G-Floor® outlives and outperforms other non-solid polyvinyl. Healthcare centers are busy places and G-Floor®’s solid polyvinyl takes on the heavy burden of staff, patients and visitors. 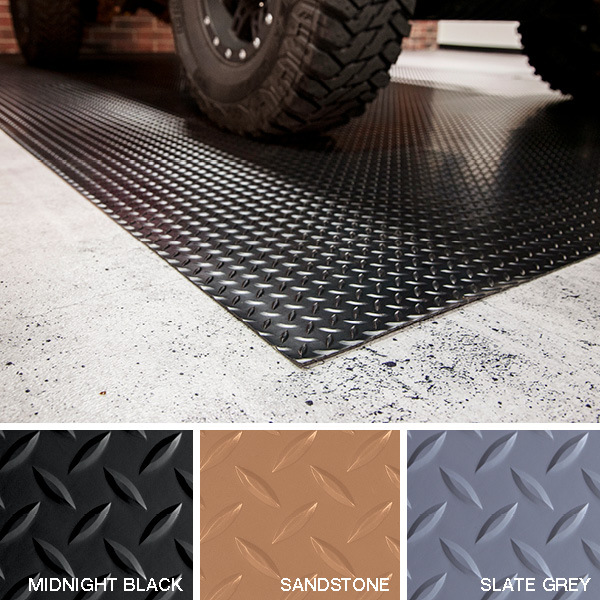 Safety: Comfortable under foot, G-Floor®’s roll-out, tile and mat products are slip resistant and waterproof. Liquid spills clean up effortlessly. Health/Sanitation Benefits: G-Floor® Universal Flooring not only protects floors from extreme use, it acts as a hygienic and infection control barrier. It keeps out mold, mildew and contaminants, while at the same time insulates from noise and the elements. Create a calming, welcoming, homelike ambience for your healthcare facility with our many G-Floor® Universal Flooring surface textures. Engineered differently, G-Floor® Universal Flooring is the Gold Standard of flooring guaranteed to outlast and outperform other vinyl flooring products on the market today. 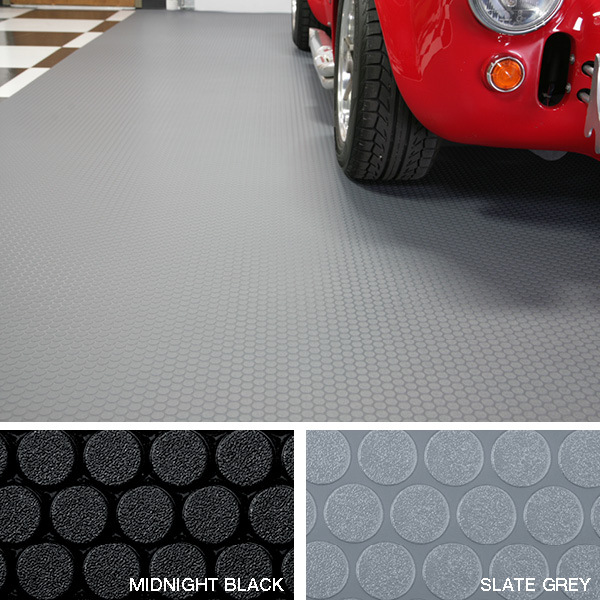 Unlike competitors using fillers, laminate or quality material only on the top 10-20% of their product, G-Floor® is purposefully-designed and manufactured in the USA, made of a thick, solid, 100% polyvinyl. 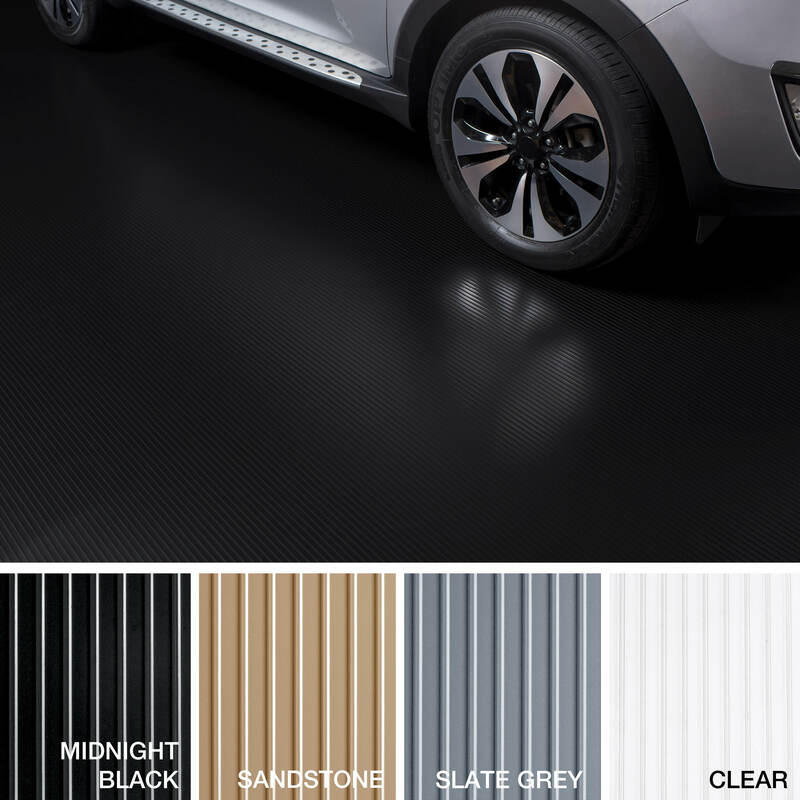 Although the others may look fine on the surface, fragile filler materials compacted together inside vinyl flooring actually decrease product longevity. G-Floor® won’t crack, peel, split or deteriorate like others, and is lightweight and recyclable. Better Life Technology by Adventure Capital Partners, LLC -- © Copyright 2019 -- All rights reserved. Sign-up for the Newsletter - Don't miss the fun!